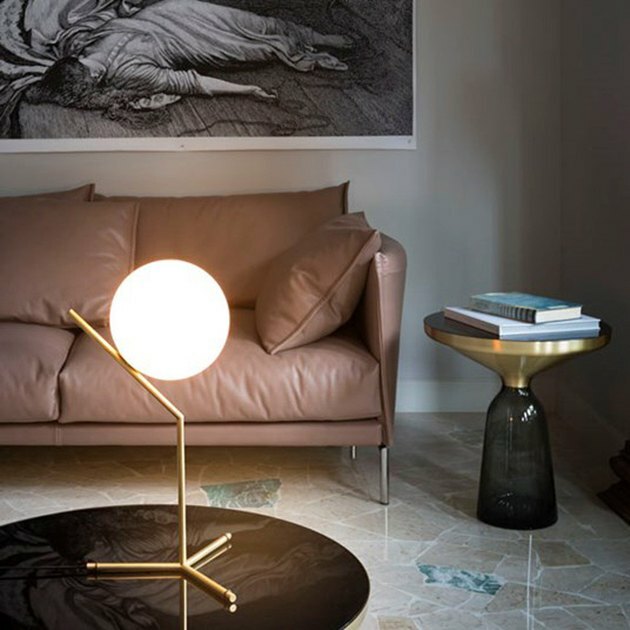 With so many flashy pendant lights, wall sconces, and chandeliers out there, it's easy to forget about the trusty table lamp, but these modern gems are guaranteed to remedy that oversight. The options available for interior lighting are quite literally endless, as designers are constantly coming up with new and incredibly beautiful light fixtures. 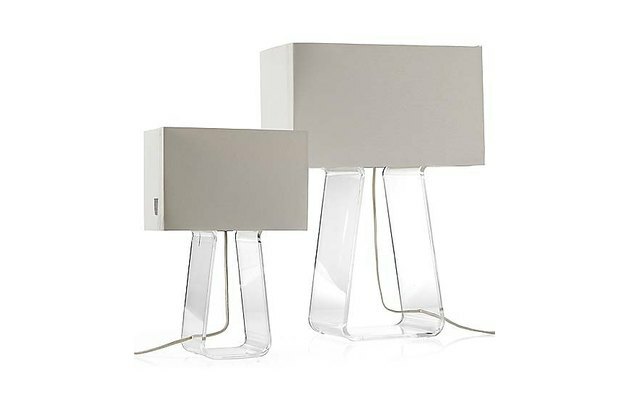 We've put together a group of 12 modern table lamps that are ready to steal the show. Fair warning: Add any of these to your home, and you might get tired of hearing about "how awesome that lamp is" from every visitor you receive. 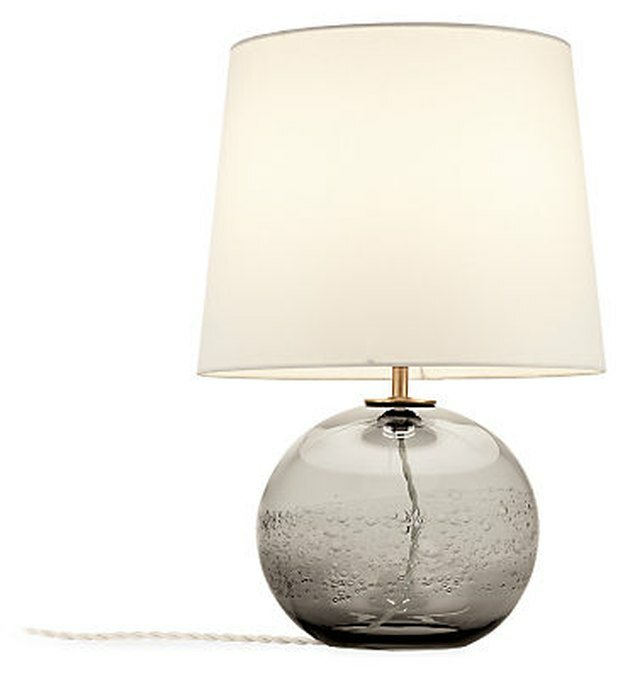 Designed by glassworks artist and designer Alison Berger, exclusively for Holly Hunt, this stunning table lamp is quite literally a piece of art. 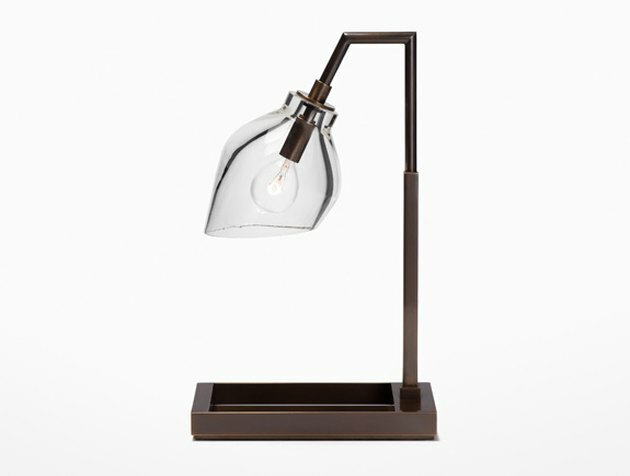 The architectural frame, finished in a bronze patina or hand-rubbed finish, is complemented by beautiful hand-blown leaded crystal. 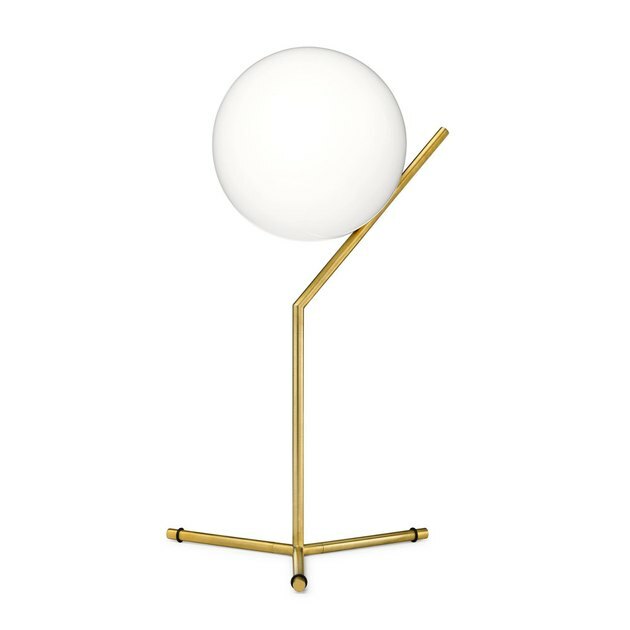 It should come as no surprise that this edgy and cool table lamp was created by designer Kelly Wearstler, who is known for her bold design aesthetic. 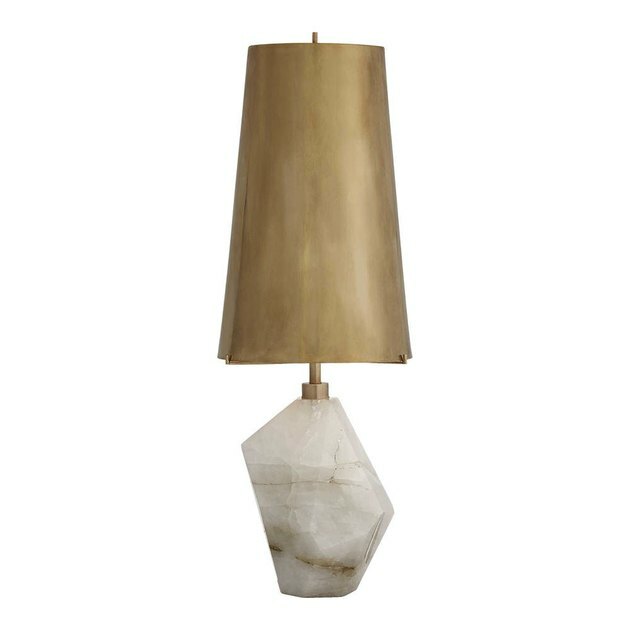 The organic-shaped base composed of natural quartz is topped with a tapered shade with warm brass finish. Winner of the 2014 Interior Design Magazine "Best of Year" Award, the IC T1 High Table Lamp is a "case study in balance." 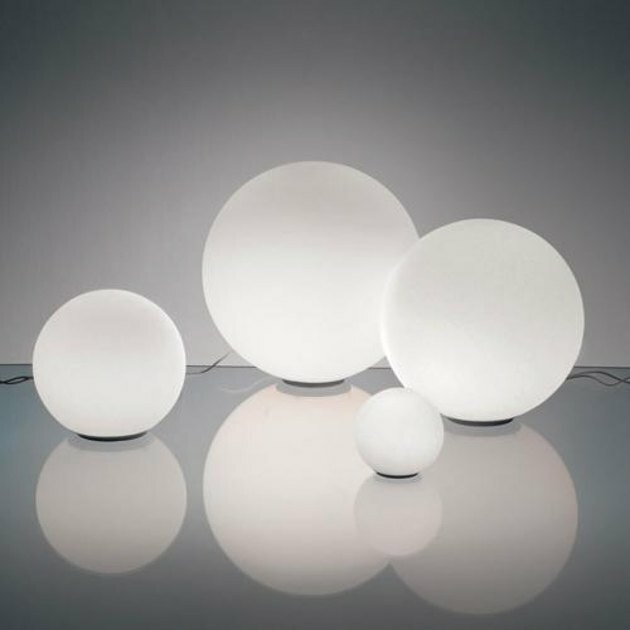 Inspired by a contact juggler spinning and moving a set of spheres around his body, FLOS designer Michael Anastassiades wanted to capture the moment the spheres would seemingly freeze in place on the juggler's arms. 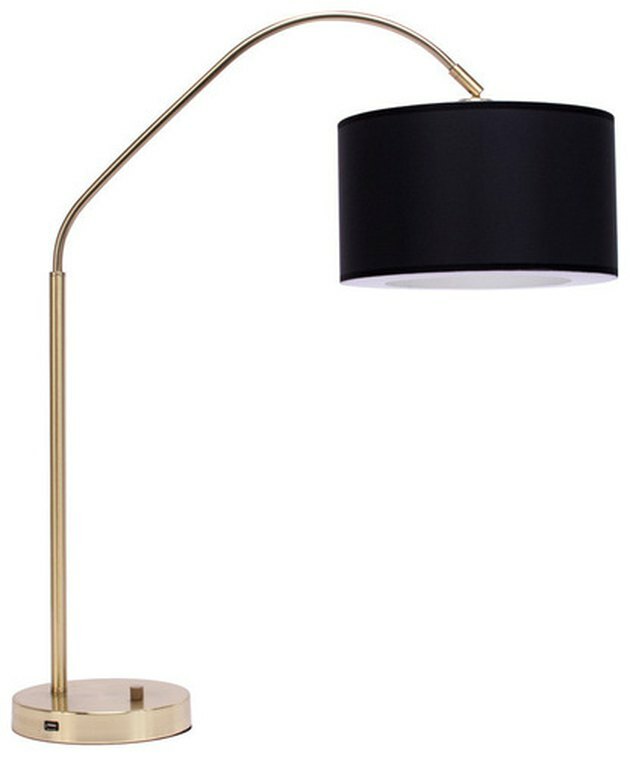 With a sleek, classic arc silhouette, every day with the Belle Arc Table Lamp is a good day. Conceived out of a study of circles, this modern table lamp is an unobtrusive piece of decor that simultaneously refuses to be ignored. It's hardly surprising that the brand new Austen collection by AERIN also includes a floor lamp, because it is truly a thing of beauty. 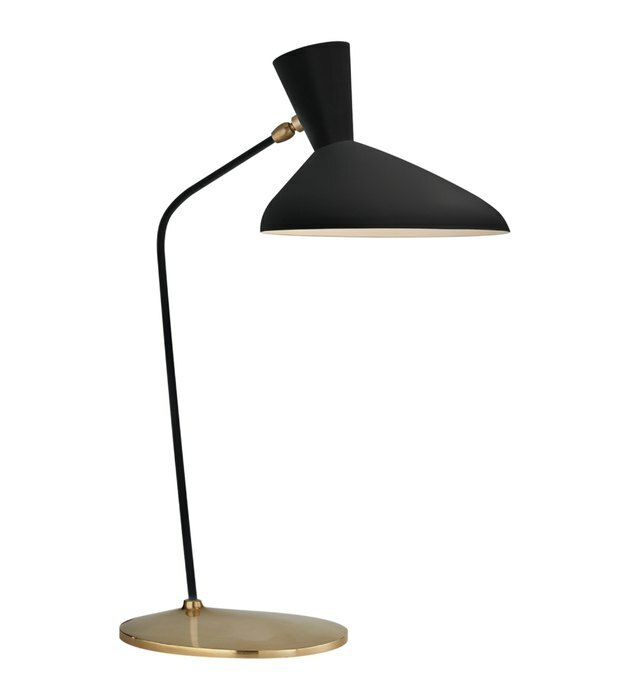 This lamp's sophisticated appearance puts the 'mod' in midcentury modern, featuring an oval brass base and angled shade perfect for precise illumination . Let's get Cosy! A perfect example of the precision craftsmanship rooted in Scandinavian design, the Cosy Table Lamp's soft glow will add warm ambience to any space. The curvy yet minimal shape is made from thick mouth-blown soda lime glass, then ground and polished by hand. Admittedly, the concept of this table lamp toys with that wonderfully nuanced distinction between modern and contemporary, and you could argue that it leans towards the latter. The Contour Lamp by Pablo Designs is made entirely of elements of modern style, only their execution is contemporary in form. 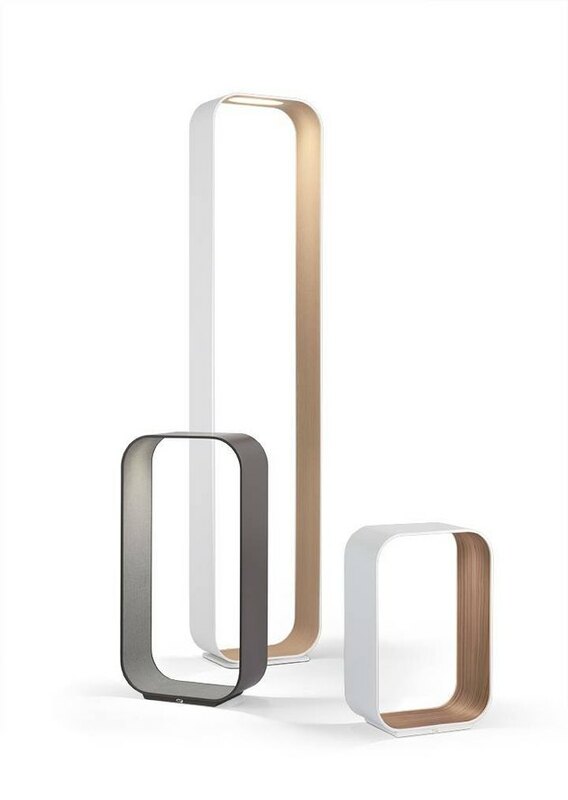 Inspired by a pair of serving tongs, designer Peter Stathis' Tube Top Lamp is simply stunning. Focusing on simplicity and utility, this lamp's elegant transparent acrylic base and lightweight mesh shade easily blend into any modern space. Every special room needs an extra special accent piece, and that is where the Castle Peak Glass Lamp by Kate Spade comes in. 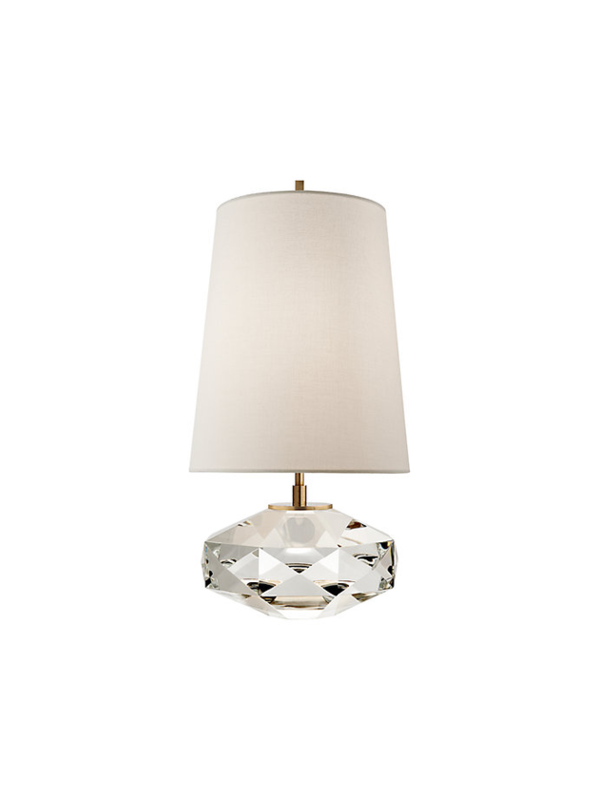 This fixture's luminous crystal and glass base topped with cream linen shade is the perfect crown jewel to finish off your luxurious decor. This lamp hits the all of the quintessential marks of modern style (simple shape, clean lines, neutral tones), not to mention the craftsmanship is a thing of beauty. 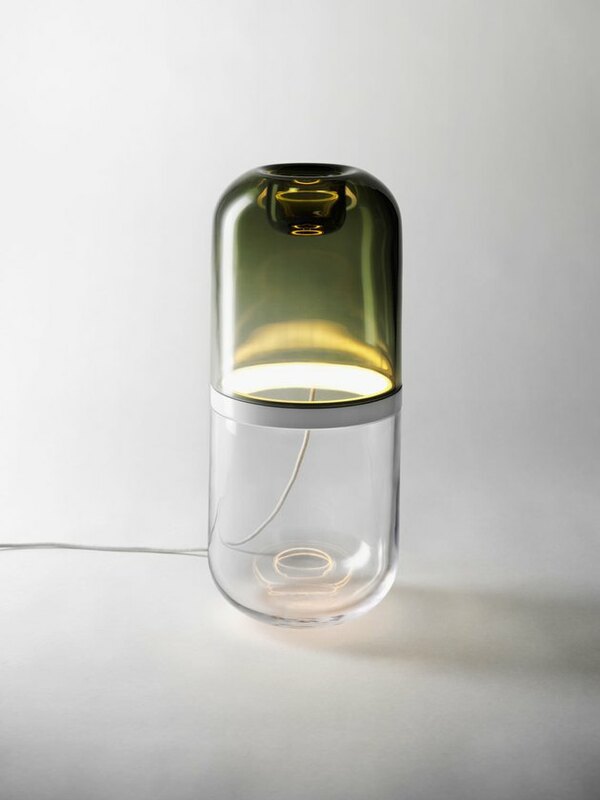 Thanks to the incredible artistry of Hennepin Made, the Nolo Table Lamp features a distinct line of air bubbles in the hand-blown glass, that gives way to clear glass, creating a rich textural detail that we just can't get enough of. Truth be told, this modern table lamp is most magical when displayed as a group, but it still has plenty of mojo when flying solo. The Dioscuri line screams midcentury modern lighting. These award-winning glowing orbs vary in size (and price), and they're compatible with multiple types of decor and light bulbs. 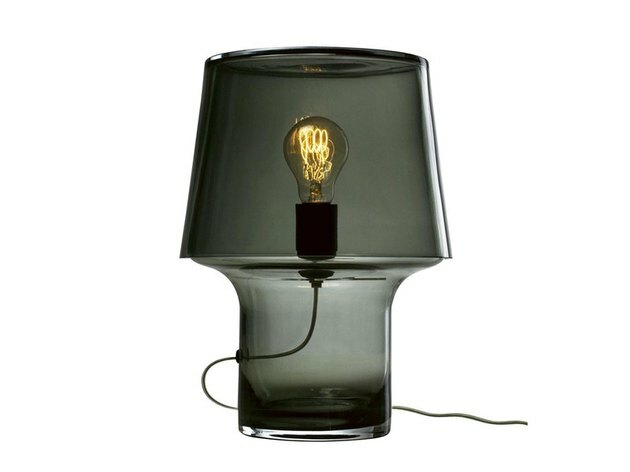 Made from acid-etched blown glass, the diffuse light that these lamps cast is dimmable (in all but the smallest sized lamp). This lamp gets back to basics. By simplifying and stripping down the typical desk lamp, TAF Architects' Wood Architect Lamp designed for Muuto, shines a light on the beauty that lies in the details of form and function. 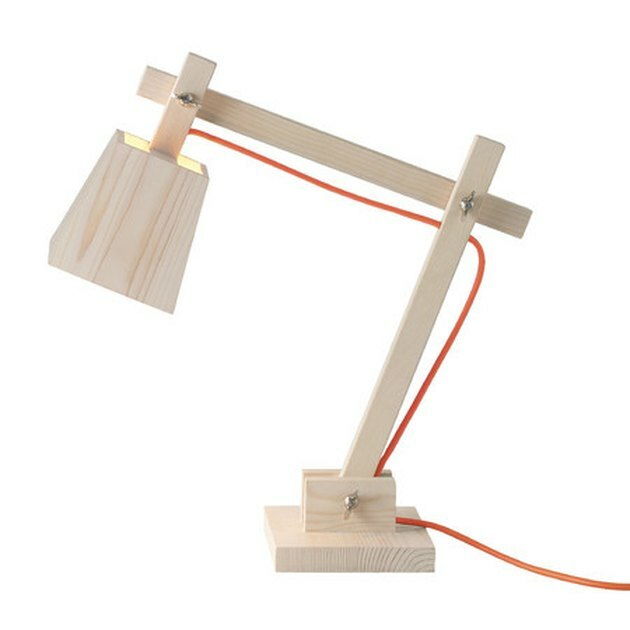 This lamp's "honest and iconic expression" leaves us wanting more.